In 1919, General Motors President Billy Durant decided his rapidly growing company needed a foothold in Europe. He sent a team of lieutenants that included Walter Chrysler, Charles Kettering and Alfred P. Sloan to Paris to negotiate the acquisition of Citroen. The talks fell through, but a decade later, Sloan, who was then running GM, returned to Europe in pursuit of the German company Adam Opel. That deal got done, and for nearly 90 years, GM has stuck with Opel through thick and thin. Indeed, there has been a lot of thin, including World War II. But GM's ownership of Opel was one of those stable and unchanging docking points in the world that I took for granted. Now GM is sorting out the details of a probable sale of its European operations to PSA Group. Europe has been a drain on GM for a long time, but Opel did have its glory days and at least once helped keep GM afloat. I was there when it happened. Dispatched to Germany by Automotive News in 1986, my first big story was a laceration of Opel. Sales were slipping, the new Omega sedan was riddled with quality problems, and dealers were livid. After the article appeared, the new boss at GM Europe, Jack Smith, asked to meet with me. During the conversation, the sides of Smith's face pulsated furiously, but the braveheart reporter stood his ground. 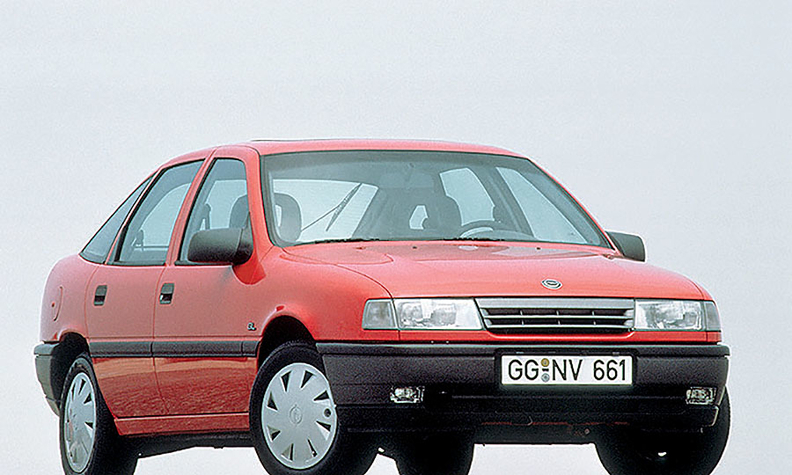 I'm not sure how discerning the story was because almost immediately, Opel turned into the hottest brand in Europe. Under a brilliant engineering chief, Fritz Loehr, the cars had become superb. A new midsize sedan, the Vectra, found a sweet spot in the market. Then came the stunning Calibra coupe, and soon the Opel Astra was matching sales with the Volkswagen Golf. Meanwhile, a cadre of young American ex-pat execs, led by Smith, was cleverly capitalizing on opportunities. When the Berlin Wall came down, Opel snapped up East Germany's Wartburg factory in Eisenach and turned it into a state-of-the-art facility. In Wolfsburg, heads were spinning. Opel had become GM's precious jewel, flourishing in the early 1990s while GM was bleeding cash in North America. The young execs who had proved their worth in Europe returned to Detroit, were handed the keys and steered GM for the next 16 years. Smith became CEO, and Rick Wagoner, who was a low-profile GM Europe finance whiz, followed him. That was a long time ago, but I still have this notion of Opel as the little engine that can inside GM. True, it has always had to compete in the hellscape that is the European volume car market, and who needs that? Yet someday, the U.S. might go soft again and Europe might be doing just fine, and the people who are running GM might wish it was still a global automaker.